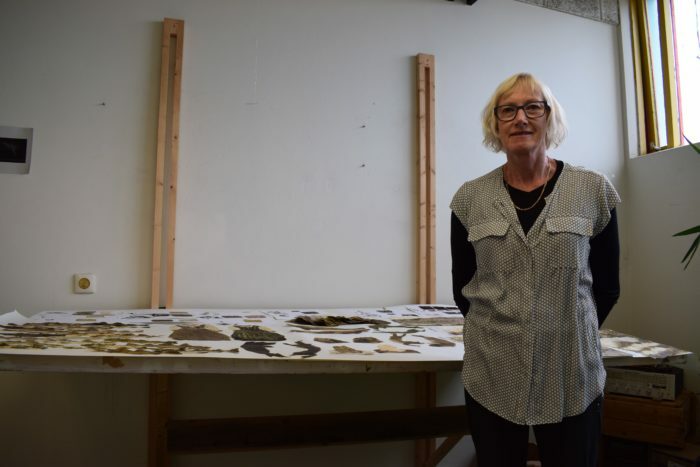 Catherine Stringer is an artist from Tasmania, who stayed with us for one month in July 2017. 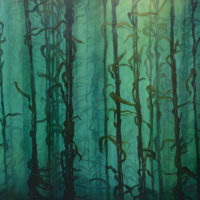 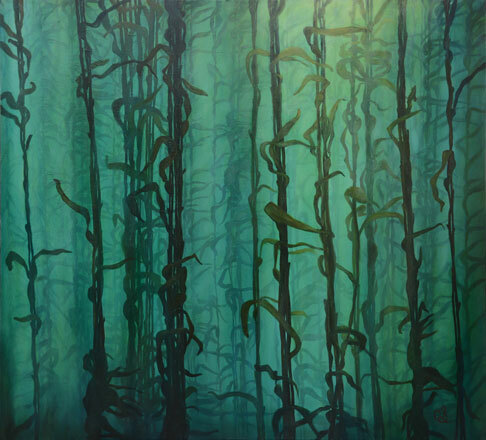 She has taken part in a number of solo, and group exhibitions, and her work is very much shaped by her interest in in water and the ocean, with her best known pieces showing dreamy underwater images. 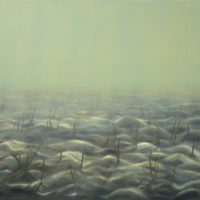 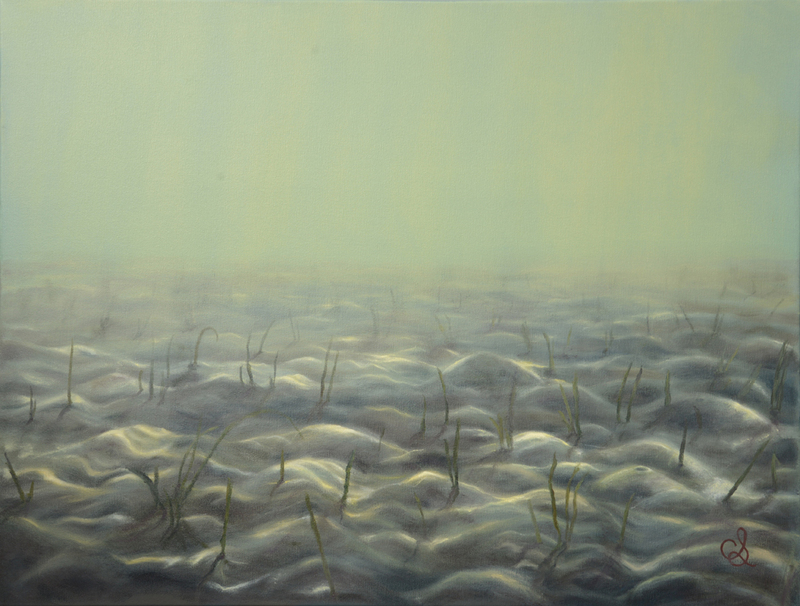 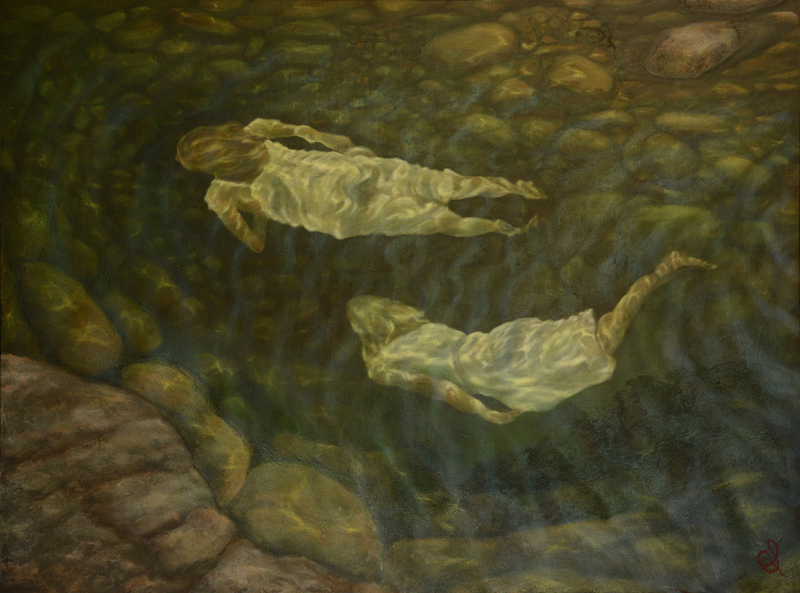 Focus around the realms above and below water in Catherine’s work can be taken to represent the ‘conscious and the unconscious, the physical and the spiritual, the rational and the intuitive, or any other duality’. 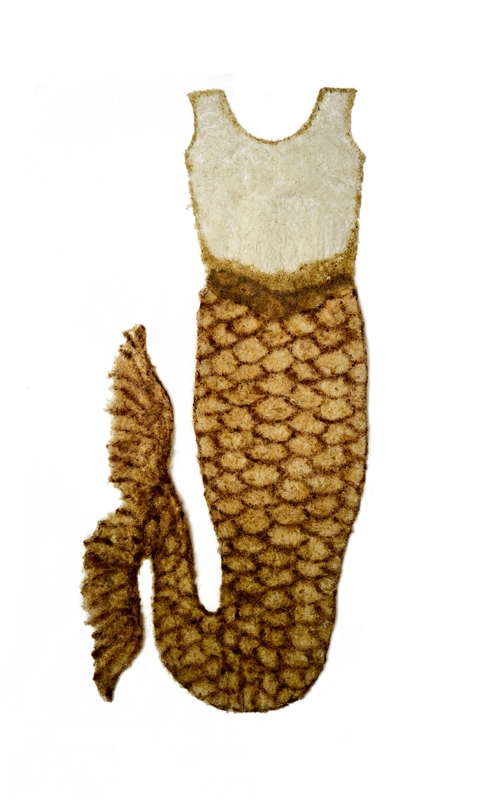 In 2011, Catherine worked on creative residency at the King Island Cultural Centre, Australia. 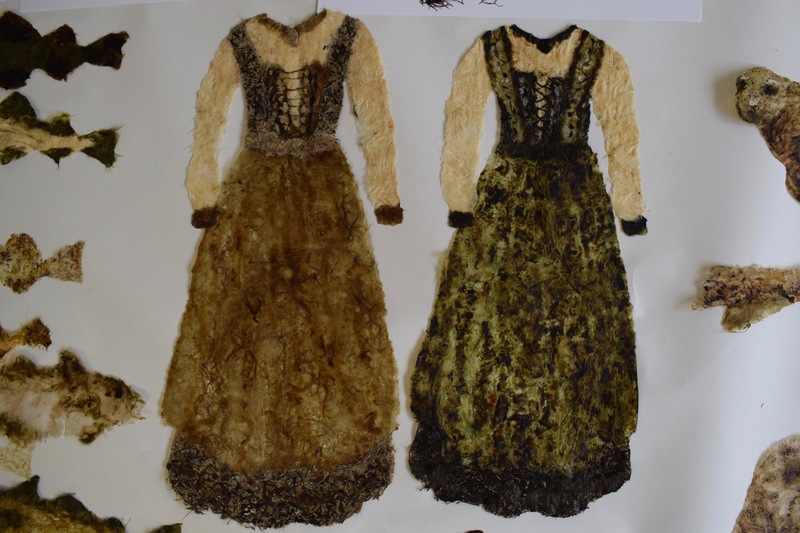 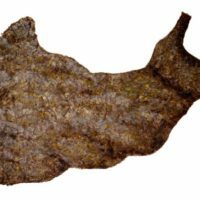 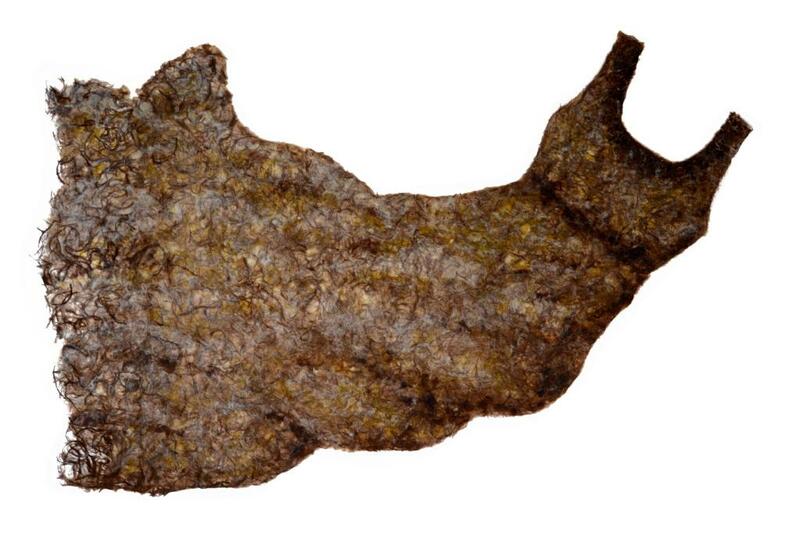 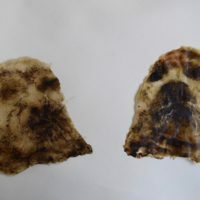 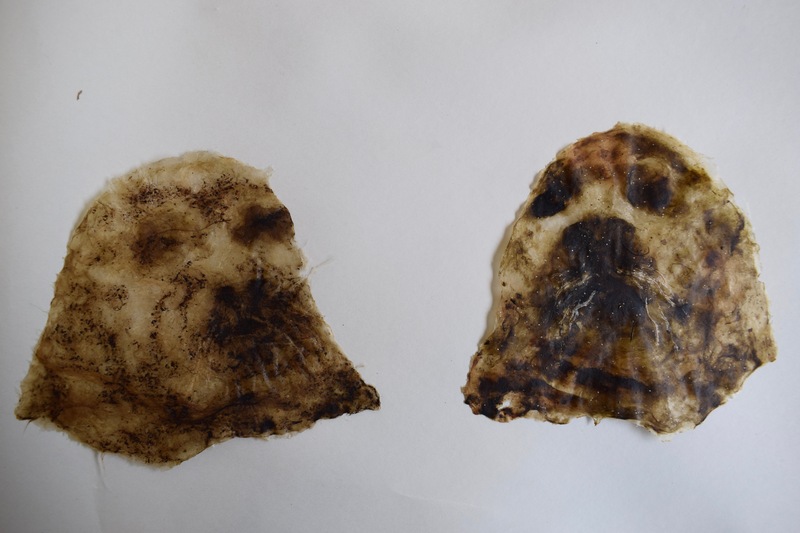 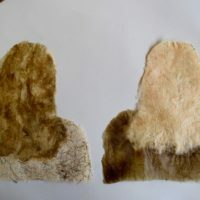 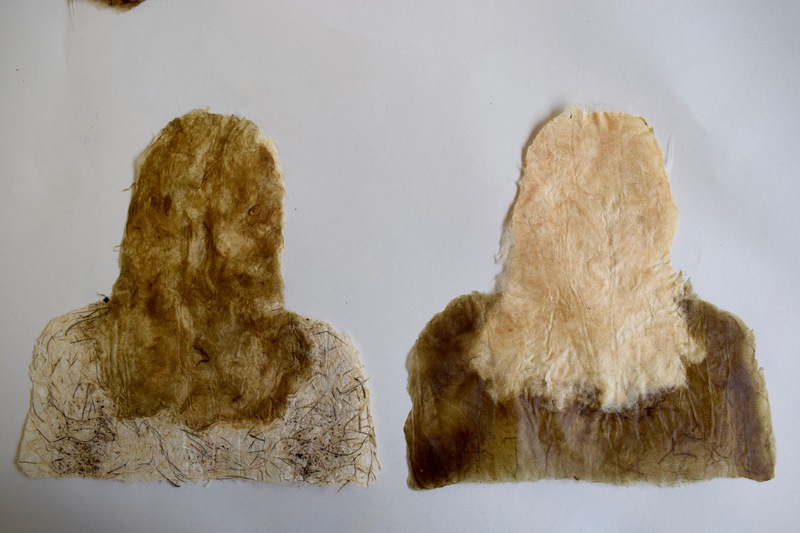 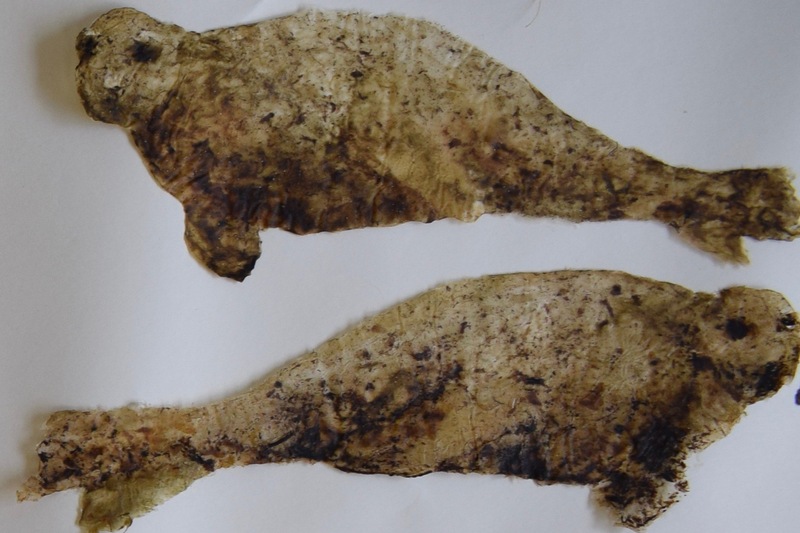 During this time she started experimenting with natural plant materials and seaweeds, and developed a paper making technique for use in artworks. 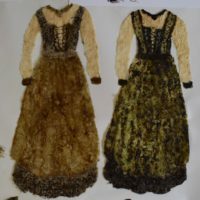 Interest stemmed from the 1835 wreck of the Irish convict ship, Neva, for which Catherine produced garments, such as dresses and capes, in ‘Neva Reliquary’ & ‘Neva Vestiges’, as a personal response to the tragedy, and to the women and children who lost their lives. 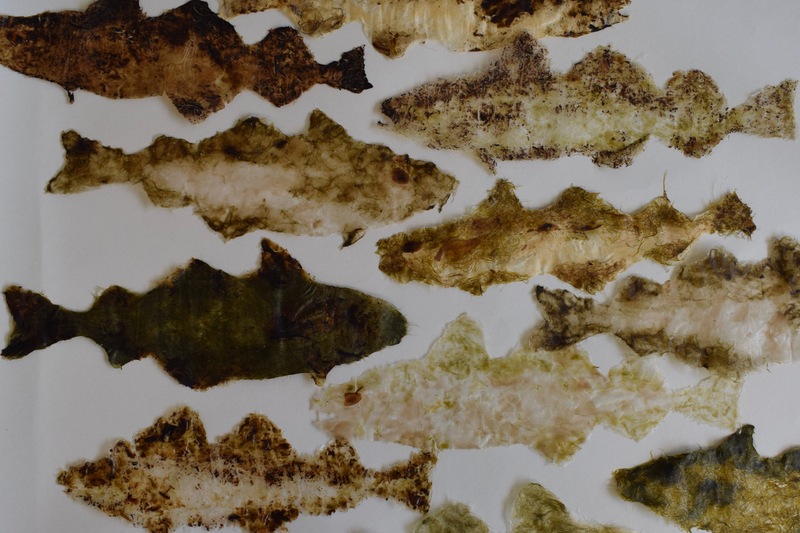 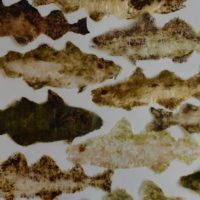 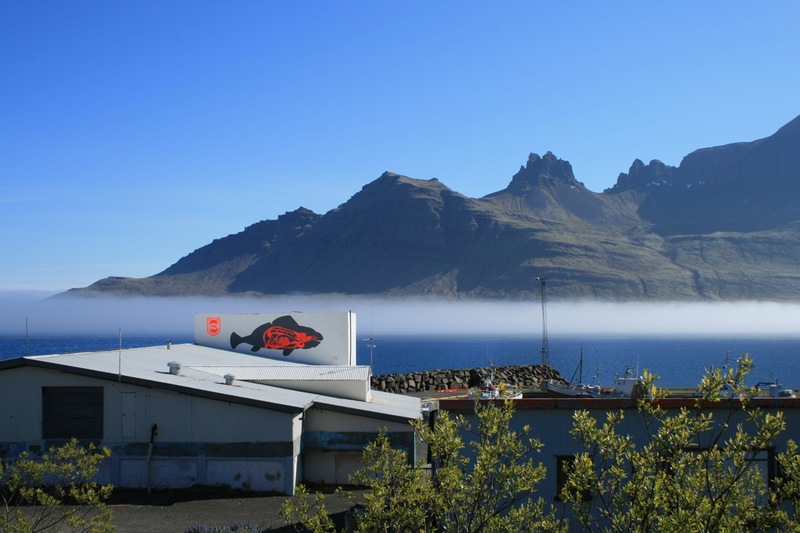 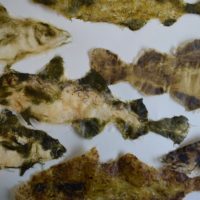 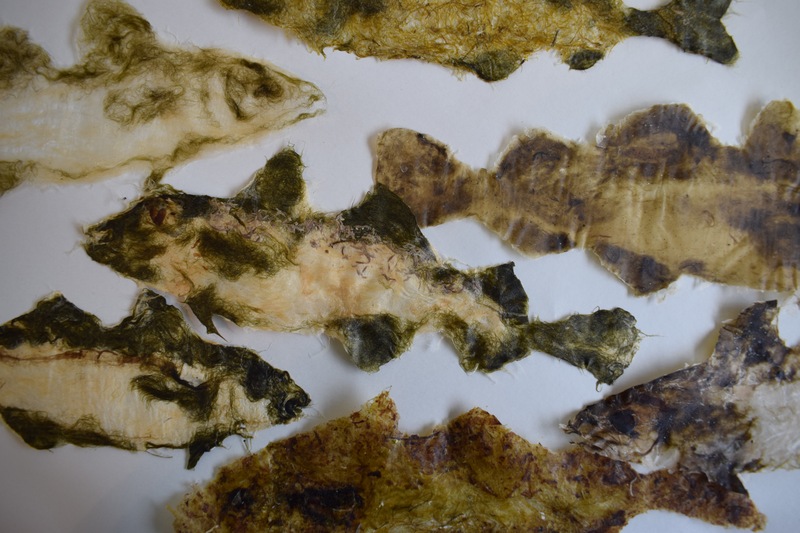 Here at the Fish Factory, Catherine has experimented with new species of seaweed and Icelandic mosses, to her paper making process, and has drawn inspiration from the landscape, the town, and the local folklore; working on a collection of fish, and seals. 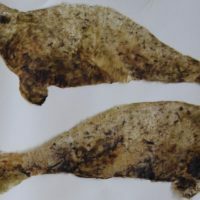 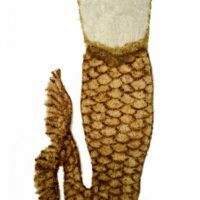 Catherine was drawn to the story of the ‘Selkie’, a norse story of a seal woman, trapped in her human body, but who eventually returns to the sea. 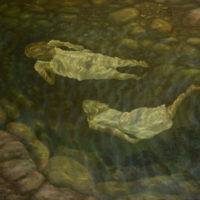 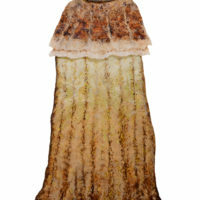 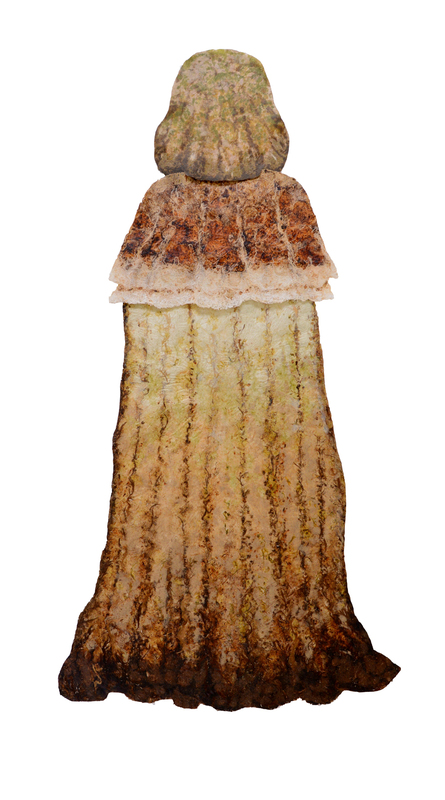 In response to this tale, Catherine worked on seals looking in towards the land, and women looking out towards the sea, along with traditional Icelandic dress that the woman may have worn in her human form.